white | Wound Up Tight! Posted on October 5, 2012 by Wound Up Tight! 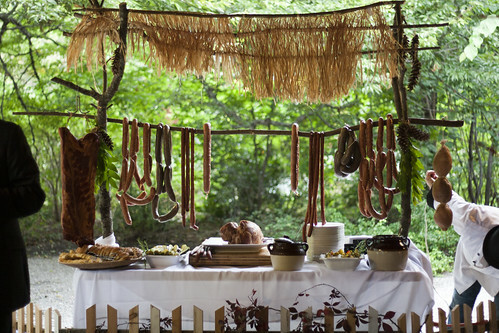 A Polish wedding. 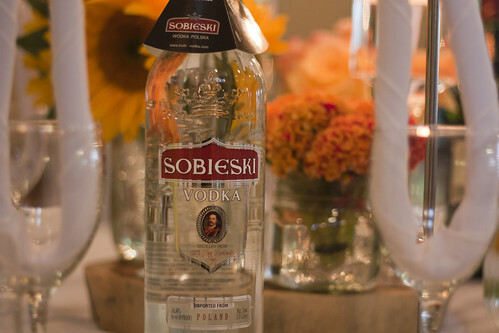 Holy Wodka. Seriously, the most fun I’ve had in a long time. Got to see and party with family I haven’t seen in a while, family I’ve never seen, had fantastic food I haven’t had in forever, and be more hungover than I’ve ever been. Fantastic. Highly recommended. Na zdrowie to Alicja and Aaron. Also, been spinning up a storm. Here’s the latest, to enter the shop sometime this weekend. Seriously excited about this update, the purple/red is so deep and complex, I really want to steal that one. And the softer blue/green/purple is the new Polworth/Silk – I am madly in love with this one. 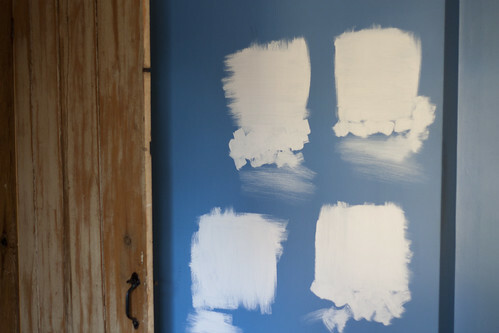 And, I’m playing the “pick a color – any color” game, hopefully transforming the bedroom this weekend from bright dark blue to soothing, clean crisp white. How there are so many “whites” blows my mind. 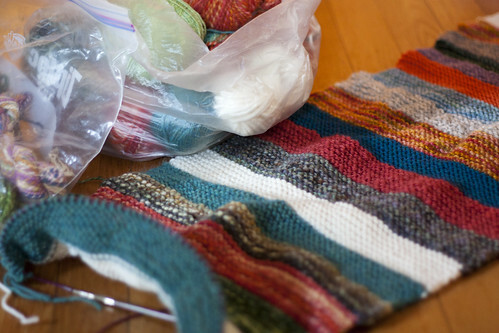 And, in knitting, the yarn-bag emptying scrap yarn blanket is working out beautifully. Seriously boring knitting, but the yarn has to go somewhere, and it’s actually turning out pretty cool, so that’s something. Once this is done, I’ll have to get rid of a few other skeins I don’t know what to do with. 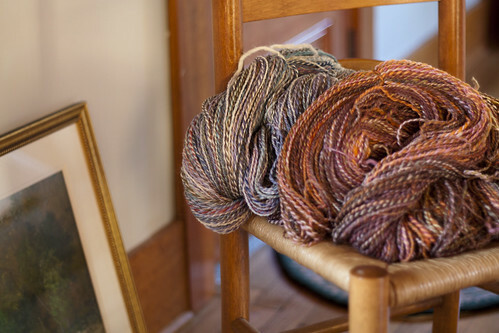 I don’t know how this escaped my notice, but I am a dyer, so some of the un-inspiring skeins, I can change their color. Seriously don’t know how I didn’t think of this before now, but there you go. I’ll keep you posted on any exciting transformations.